The Mini-Lift is performed under safer local anesthesia and takes about an hour. Most patients recover within a week. Afterwards, patients often report that friends, coworkers and relatives can’t figure out why they suddenly look years younger. Are you starting to look older than you feel, with lines on your lower face and sagging skin in your cheeks and jawline? A Mini-Lift is a more conservative treatment. It won’t address the advanced facial aging and fullness or sagging under the chin that a full facelift is designed to treat. But it results in less swelling, bruising and tenderness. For younger and middle-age patients with moderate facial aging, a Mini-Lift offers several advantages in giving you the younger look you want with a lower cost and less downtime. 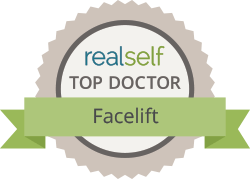 The best candidates for a Mini-Lift are patients aged 40-49 with skin that has good elasticity (ability to snap back) whose aging is primarily in the face. 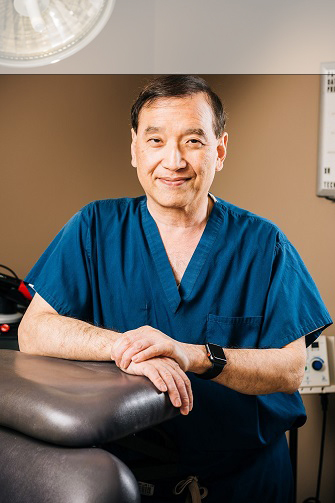 After local anesthetic injections have numbed the area, Dr. Machida will make a short incision and then separate the skin from the fat and muscle layers below. He can trim or suction fat from your cheeks, jawline and chin to improve their contour. He will then tighten the underlying muscles and the membrane that covers them to produce a more youthful form. Finally, Dr. Machida will redrape and smooth your skin, removing the excess. He will fasten everything in place with stitches and close the incisions. After surgery, Dr. Machida may temporarily place a small tube under the skin behind your ear to drain any blood that has pooled there. He may also wrap your head in loose bandages to minimize swelling and bruising. Full recovery should take about a week. The Second to Creation Mini Lift is highly affordable. The final cost will vary based on your specific needs. Dr. Machida’s patients often find that a Mini Lift fits well within their budgets. How long will the results of a Mini Lift last? Any facelift done by a qualified surgeon will make you will look younger than you would have for the rest of your life. That includes a Mini Lift. Best results will last for 5-6 years. 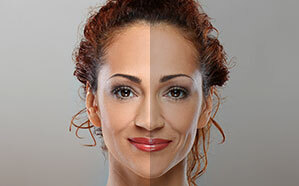 Depending on your aging and skin care, good results may last for up to 10 years or longer. Staying in touch with Dr. Machida in the years after your Mini Lift will help maintain your younger look. How soon can I return to my normal activities after a Mini Lift? Depending on how quickly you heal, you should be able to return to work and your normal activities in 7-10 days. Will my Mini Lift be painful? Most patients think of it as more uncomfortable than painful. Low-dose prescription pain medication can control any discomfort that results from your Mini Lift. Will I have visible scars after my Mini Lift? Virtually any surgical procedure will leave scars. Dr. Machida is very skilled at hiding them near your ears where they will be difficult to see after healing.